Microsoft has officially started the pre-order of next iteration of Windows operating system, Windows 8, which is scheduled to go on sale on October 26th, 2012. Though Windows 8 has attracted both favorable and disproving reviews, but as the dominant desktop operating system, it still attracts huge attentions and has a huge followings. The pre-order of Windows 8 has started from October 12nd, 2012. Best of all, Microsoft has releasing Windows 8 with a ridiculously low and unbelievably cheap price for most comprehensive edition of Windows 8 during the pre-order and at least during the initial few months period after Windows 8 launch, with steep discount from the list price. Microsoft has earlier announced the availability of download-only Windows 8 Pro to upgrade existing Windows XP, Windows Vista and Windows 7 PCs to Windows 8 for $39.99. However, this option is not available for pre-order. In fact, no pre-order is required too, as on the launch day, any users can download Windows 8 Upgrade Assistant to directly purchase Windows 8 Pro Upgrade license on Windows.com. 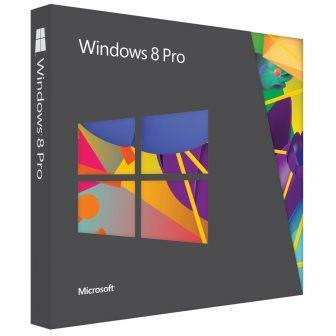 What’s available for pre-order is packaged box of Windows 8 Pro with DVD, together with packaged box of Windows 8 and Windows 8 Pro System Builder with DVD (System Builder version effectively replaces the retail and OEM version). According to Blogging Windows, the offer is available at Amazon.com , Best Buy, Staples, Office Depot, Newegg, Microsoft Store and etc. If you’re looking for bargain, Amazon.com also throws in $30 Amazon.com promotional credit for any Windows 8 Pro purchase, effectively making it the same price with online upgrade of Windows 8 Pro. If you’re purchasing System Builder version of Windows 8, the $30 credit through coupon code WIN8SYST can be used straight away on 64-bit Windows 8 System Builder software. Those who purchase an eligible Windows 7 PC between June 2, 2012 and Jan. 31, 2013 can also upgrade to Windows 8 Pro for $14.99.